Alexandra Mann has practiced immigration law exclusively since her call to the Alberta bar in 2011. She has appeared before immigration tribunals and the Federal Court of Canada. She has engaged in extensive research in immigration and refugee law and has been published in the academic journal “Refugee: Canada’s Periodical on Refugees”. Prior to joining Sherritt Greene, Alex articled with Legal Aid Ontario, and gained experience in immigration law and Federal Court litigation as a student caseworker in the Immigration Division at Parkdale Community Legal Services. 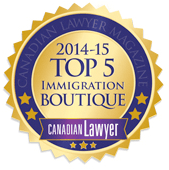 Alex is currently a volunteer at the Calgary Legal Guidance immigration law clinic.